What’s happened since our last blog – lessons and challenges all rolled into one! With the challenge officially ended, we saw a marked change in the ‘mood’ about the place during March; this was a month of roller coaster emotions – for us all. A mix of excitement for some and massive disappointment for others. It became clear that some projects believed they would be sure-fire winners. Not to be. In part, there was an undercurrent of discontent. To be expected, I suppose, but we hadn’t really planned for this; hadn’t anticipated the impact of 20 disappointed projects and all their volunteers. Managing this disappointment was quite a task. It took time, care, lots of listening and finding ways to revitalise people’s flagging spirits. This at a time when we were organising the Brix Awards celebration event and preparing for our final ICARUS reflection workshop. It was as if a divide had been created between the prize winners and those unsuccessful. A tumbleweed moment; leading us to wonder whether the prize challenge approach is really the best way of galvanising, and sustaining social motivation, in a close knit community? I think the jury’s still out on this one. At one point I feared that we were in danger of losing all of the good that had been achieved; the anticipation, comraderie, healthy feeling of competition and excitement of the 6 month challenge period. 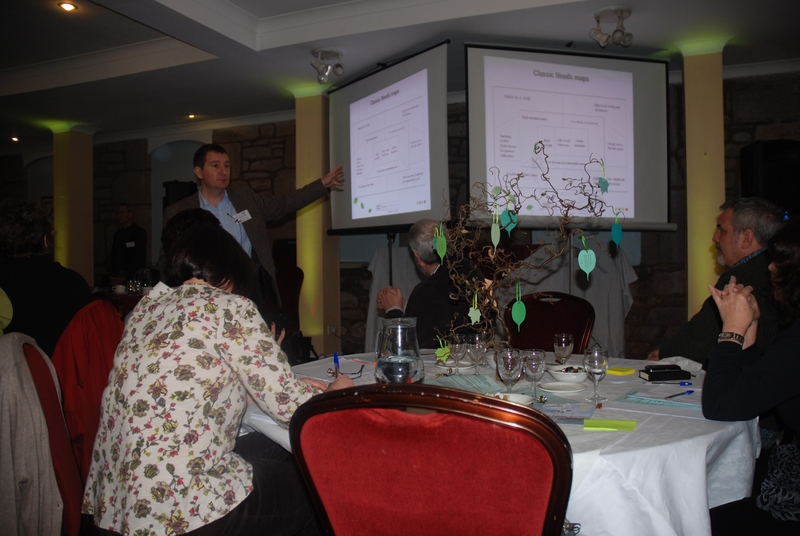 It was a big challenge to keep the energy high for Richard’s workshop at the end of March. The Edge went very quiet. Many of our ‘regulars’ didn’t drop by. It was eerie. And not nice! Over time, the feeling changed. People who hadn’t won one of the cash awards moved on from their disappointment. The prize winners began to plan how to move forward. We were able to connect some projects to work together in similar areas. For us, at YES, the big question was – ‘how would we continue to support the projects moving forward?’ With our charity facing a time of transition and restructuring, our resources are already stretched to breaking point. The pace of the NESTA ‘social experiment’ had been so very fast that it’s leaving quite a swirl in its wake. A swirl of people, projects, hopes, dreams, possibilities; some confusion. How to gather them all back in and harness that possibility? Without resources – continued community building time, mainly, this is becoming increasingly difficult. And quite sad, really. Many of us at The Edge are increasing our voluntary work on the project in order to keep the doors open, be here for our community; show that we care. This continuing need for high levels of volunteering is proving a stretch. Is this the reality of the Big Sociey? It’s most certainly one side of the equation. We see a real, ongoing need for project mentoring and support. Without this nourishment many of these fledgling enterprises will fade away. This will be a loss to our community, those involved, the potential for the future. This is the real learning from the Neighbourhood Challenge. We can model an approach to bringing people together, supporting them to make their ideas a reality, addressing local issues about which they feel passionate, sharing wonderful community celebrations; whilst we have the security of some basic funding. And then – what? Sustainability is absolutely crucial. We’re not talking masses of money. Maybe just one post. £30k per year, including on costs, to have a full time community builder (or part time equivalents) to work within the community; plus some funds for volunteer expenses. This would provide a touchstone as people grow their ideas, grow their potential, become all they can; through connection. Without this connecting, people – and their potential – will remain adrift. We learnt from the projects during the challenge that the prize money wasn’t a main driver. Yes, at the end, when in sharp focus, it became a target to aim for. However, during the challenge, the money was far less important. 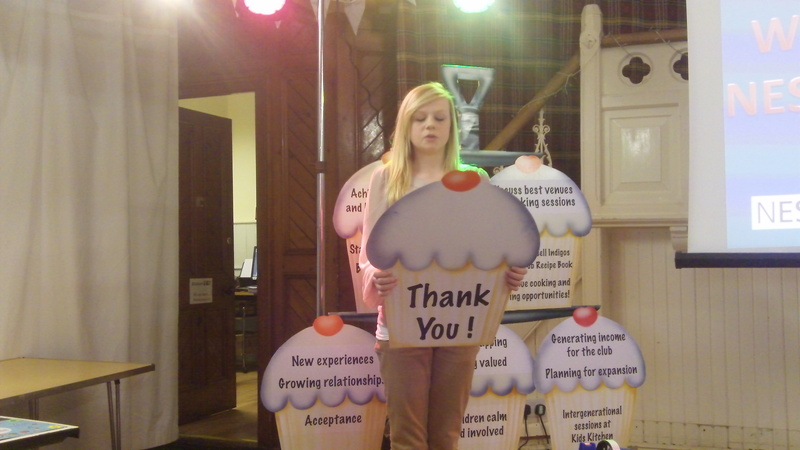 What mattered was being supported to ‘have a go’. Trusted to devise and deliver a project. A listening ear to help develop possibilities. We wanted to capture the immense impact of the Neighbourhood Challenge on YES, on The Edge, in Brixham. I met Len Grant at the Forever Manchester ABCD conference in November. I just loved his work. For Len it’s more about the journey than the destination which is why we knew he was the right person to capture our journey; for posterity. We plan to make a book of our tales! A really exhilarating evening when young people’s contributions in the community are showcased. With over 200 local people of all ages coming along, the evening was a chance to award the challenge prize winners and offer specific recognition for the 7 young entrepreneurs identified for the their exceptional progress during the challenge period. This year’s theme was ‘posh’ and everyone certainly rose to the occasion. A great evening. A lively celebration of a fantastic year. With 30 people coming along, the afternoon was a really wonderful way to remember what we’ve been through. A chance to really think about what worked and how. A very positive event – and quite an emotional one in many ways. In spite of the lows we experienced in early March, the impact that the Neighbourhood Challenge has had on Brixham is very, very positive. A shot in the arm. It’s given us inspiration and courage to move forward with optimism, building on what has been achieved over the past 18 months. After several hours, the independently selected Neighbourhood Challenge judges, finally came to the difficult decision of choosing the 6 winners of the Neighbourhood Challenge………. 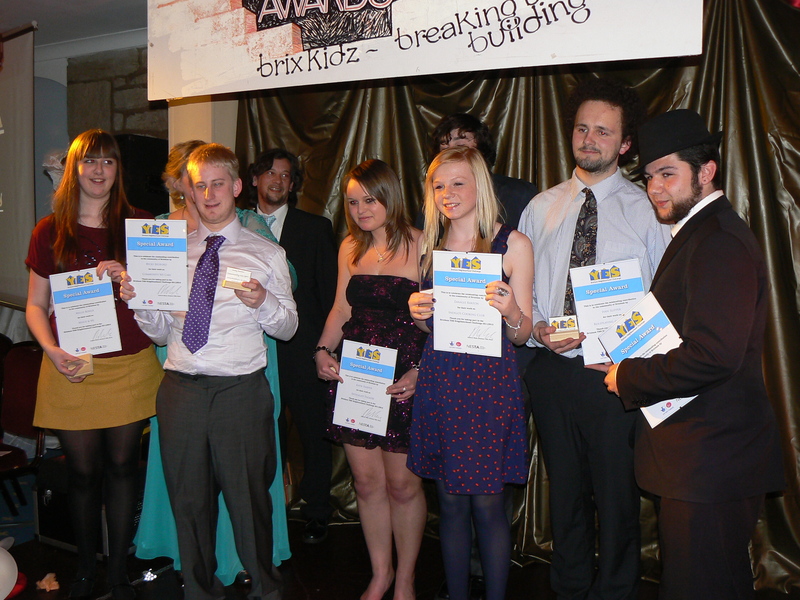 A massive WELL DONE to all the winners! They have won £3500 for their project which opens up so many opportunities for each of them. Juicy Theatre – Jade and Victoria have recently opened a community bank account for Jucy Theatre. They are planning a trip to London for the Juicy Theatre crew. It is all very exciting for them and the prize money will help them to expand further. Check out their facebook page for more information https://www.facebook.com/#!/pages/Juicy-Theatre/120376691399652 Jade and Victoria both have a passion for drama and for young people, therefore Juicy Theatre is absolutely perfect for them. They have both work extremely hard to make it a success. Jade is also considering doing a Masters in Drama/Theatre…well done Jade and Victoria!!!! BEST – Rachel has got some very exciting times coming up in the next few months. Her tennis club starts again in May at St Mary’s Park (for children and adults). 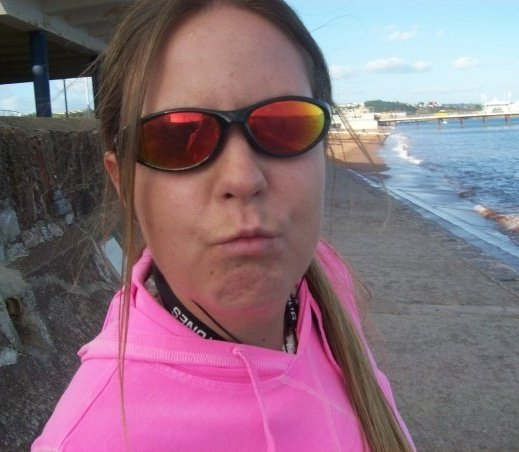 She is offering sport to the Brixham YES Young Volunteers on a monthly basis (playing at The Edge and going to different venues/locations in Brixham). She is undertakimg several coaching courses herself which include Level 2 Tennis Coach, Level 2 Basketball Coach and Level 1 Table Tennis Coach. Using the table tennis qualification she is going to set up a table tennis club at The Edge (day to be confirmed), which an ex England Table Tennis champion will be attending :). Rachel has also made several links with schools and local sports clubs….including Ibex Canoe Club and she is currently in the process of organising ‘One Star’ and ‘Two Star’ courses so if you are interested then find Rachel at The Edge. Rachel has also developed a high interest of people who would like to volunteer with her, and she is putting them through several courses : first aid, sport apprenticeships, coaching awards as well as giving them experience to develop as a coach. Rachel is also going to be doing weekly sport sessions at Indigo’s as well as an Outdoor Activity programme with the Young Volunteers. Rachel is also in the process of developing her own website, which you can imagine is a very long process, but we look forward to seeing it when it has been completed!!! Well done Rach!!!!! 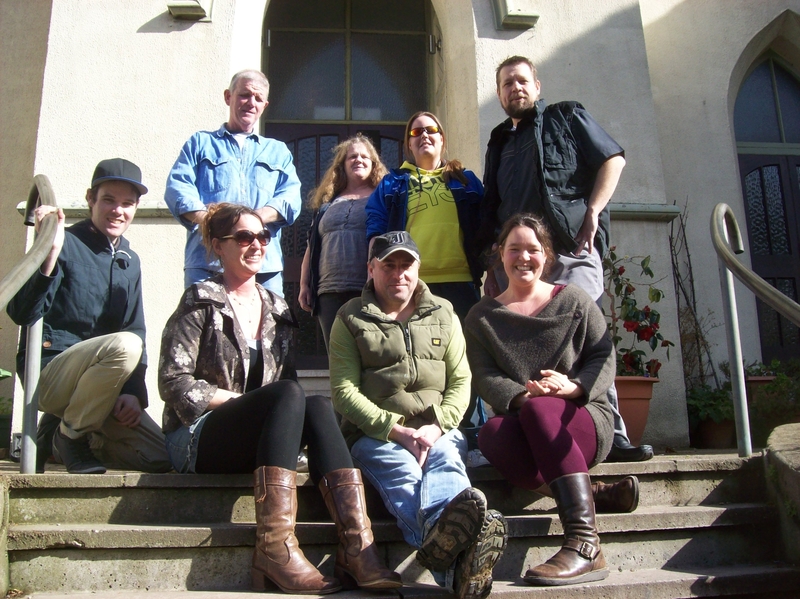 Forgotten Crafts – Now this is a very exciting time for Casey and everyone involved with Forgotten Crafts as they have moved into a new premises. This is in the back room of Brixham YES’ charity shop. A much better use for it and the last time I saw, they were fully moved in, and had their equipment in. Several people come and go, and from talking to Casey, he has mentioned some very exciting prospects for Forgotten Crafts, however I am going to keep that a surprise and you will just have to keep checking back to see what they are up to 🙂 Well Done Casey!!! Upcycling – Sean is making so much positive progress with his project. He has also taken on the responsibility of the community allotment which he linking with Upcycling. 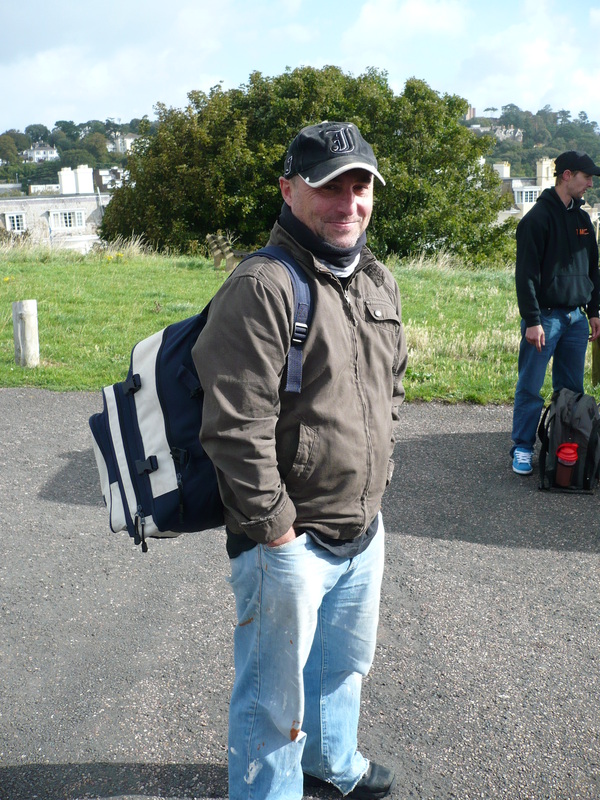 The following link shows his most recent press release – http://www.thisissouthdevon.co.uk/Residents-rally-create-community-allotment/story-15790580-detail/story.html Sean has developed many links with local people as well as local organisations to help him further Upcycling into a business. He is making a website, planning summer schools, and is constantly on the move as he has lots to do. If anyone is interested in being a volunteer at the allotment or finding out more info then pop into The Edge and talk to Sean. Well done Sean!!! The Edge Training Kitchen – Mara is busy running The Edge cafe 5 days a week, and recently she did a course on ‘cooking on a budget’ – what a fantastic idea, considering we all spend far too much on food, but Mara can help us realise you can cook yummy food that does not actually cost very much money. Mara has also organised for The Edge to be an Arts Award Centre…..now this is extremely exciting as she has linked up with several volunteers who have a passion for art and creativity (Ali and Millie) who are going to be running the courses. In a short way……the course will involve doing a project (in relation to art) with the support and guidance of Mara, Ali and Millie, to gain qualifications. If you would like to find out more then come to The Edge on a tuesday between 3pm and 6pm to talk to them! Mara had also completed another installment of Kids Kitchen – once again very successful!! Well done Mara!!!! Len Grant visits us here at YES!!! Len Grant is a freelance photographer and writer who is based in Manchester. Angela met him at the ABCD conference last year and was so blown away by the amazing work that he does, she invited him to come visit us here at YES to capture a wide variety of our stories! A huge thank you to Len Grant for coming to visit us here in Brixham. We will miss you, and are all looking forward to reading the blog every week! What the Neighbourhood Challenge has meant to me………. Over 18 months ago I was made redundant! And I honestly thought it would be relatively easy for me to find a job because I am extremely qualified in the field of sports development – both academic qualifications and experience. However I was soon proved wrong when I realised that there were no jobs which suited what I had worked hard for at university. Therefore I was having to apply for any job that I saw in order to stop being an unemployment statistic. Time and time again I was rejected which slowly took its toll on the way I was feeling. I had applied for over 500 jobs and had only one interview which I did not get because I was over qualified. So, from this, I couldn’t get a job in sport because there were none out there and I couldn’t get any other job because I was too qualified. At this point, I was so low I decided to leave my passion for my sport in the past which was very serious considering sport had been my life since I was four years old. Sport clearly wasn’t helping me so why should I use it? After being on job seekers for six months, I was put onto a work programme called Community Task Force. I had to volunteer for 30 hours a week in a community benefitting placement. If I am honest I really did not want to do this. I had no motivation and my self-esteem and confidence was at an all time low. I had pretty much given up hope on everything! My placement was with Brixham YES. I had met with Angela and Chris, and they were more than happy to have a new volunteer, especially as they were in the middle of moving to The Edge. The night before the placement started, I was trying to think of every excuse in the book to get out of going. I was completely dreading it and honestly didn’t see any point in doing it, apart from the extra £10 a week that I would get. The thought of doing something different scared me, but I knew I couldn’t get out of it! Within a week of starting my placement, I had completely changed. I realised that with the support and encouragement I received from Angela and Chris, I was a completely different person. I no longer hid behind others and was starting to stand on my own two feet again. From volunteering with YES, I was soon told about the Neighbourhood Challenge – and my immediate thoughts were that this could be something to get my life back on track. 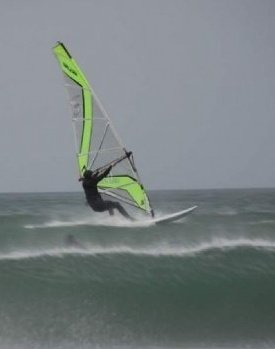 After changing my application several times, I came up with the idea of BEST (Brixham Edge Sport Tasters). The vision of BEST is to help make sport a part of everyone’s life and to offer an alternative to PE and sports clubs. I was slowly developing my passion for sport again. This included playing tennis on a weekly basis, and continuing with my Masters in Sports Development – which I had previously deferred. After finalising my Neighbourhood Challenge application, all I had to do was wait for it to be approved. During this time, having found my passion for sport again I decided to ‘give it a go’ at forming a tennis club for children. 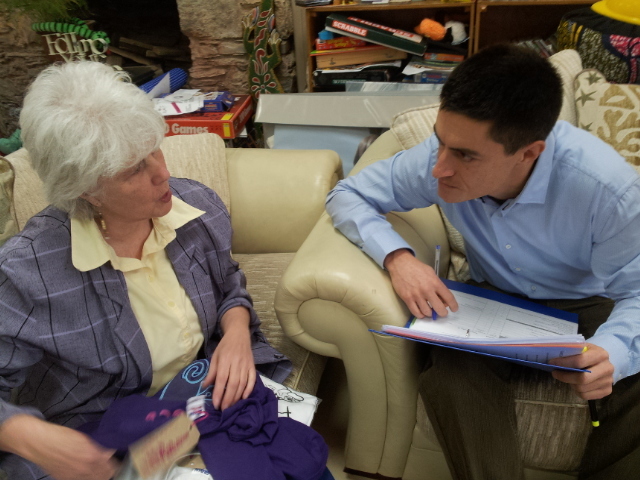 After putting out press releases and posters, I had generated a lot of interest and support from the local community. From then on, every Saturday for two hours, I would coach tennis to children from the ages of 4 to 16. This was all on a voluntary basis and it was completely free for the participants. I viewed this as the fresh start I was looking for, and things could only get better! I soon heard that my Neighbourhood Challenge application was successful and I was awarded £1000 kick start cash which I used to buy sports equipment, attend training courses and to publicise BEST as much as I could. Once the tennis season was over, all of the children I was coaching wanted to continue throughout the winter, so with this I involved a wide variety of sports on a 10-week programme. I involved the parents too, which did take a little bit of persuading but after the first time they participated they realised how much they loved it and it happened every week from then on. As well as running these sport taster sessions on a voluntary basis, I was continuing my placement with Brixham YES. As I found my confidence and self belief growing, I developed a passion for Brixham YES and found myself volunteering well over the hours required. 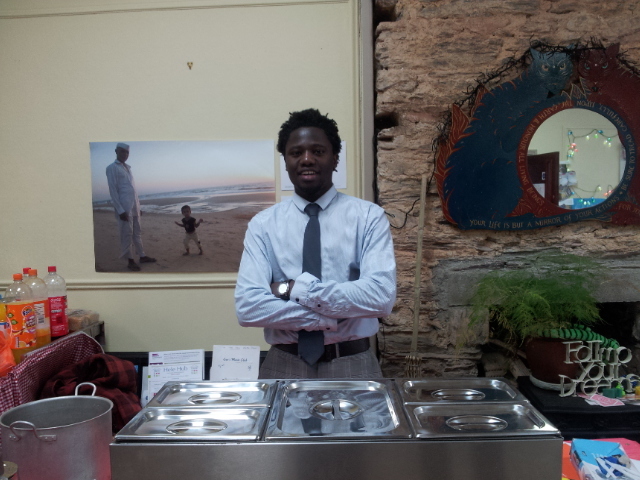 During the Neighbourhood Challenge period, my placement was due to come to an end, but luckily enough I was offered a part time job on a temporary basis with YES. I was thrilled at finally having a job, it felt like a huge strain was lifted from me. 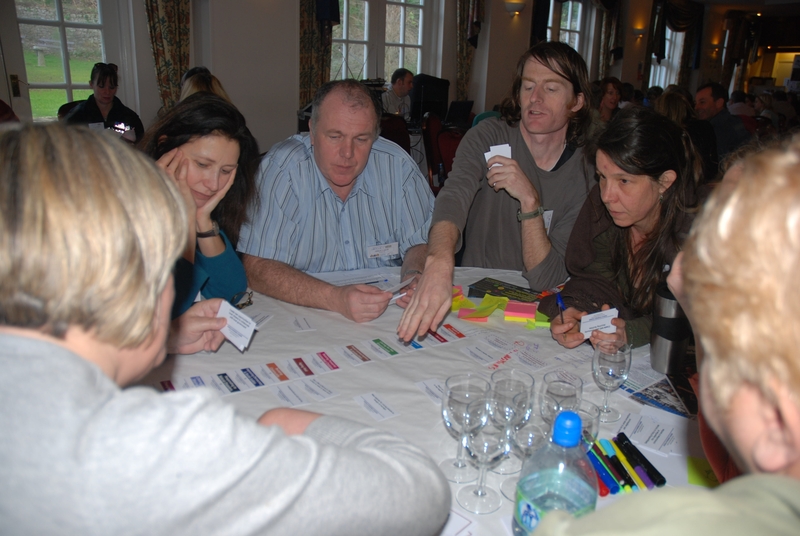 From working for Brixham YES and being part of the Neighbourhood Challenge, I was able to build and develop networks with local primary and secondary schools, local sports coaches and sport development officers. I have also developed relationships with local journalists and businesses. None of this would have been possible without Brixham YES having the trust and believing in me so much that I can achieve what I have always wanted to. I was lucky to win one of the Neighbourhood Challenge prizes of £3500 and I have so many future plans (most of which are going to be happening within the next month). I also plan to help others pursue their career in sport and become a role model on the basis that something can come from nothing as long as you don’t give up! This time last year, there is no way I would have had the confidence to be stood here talking to you. 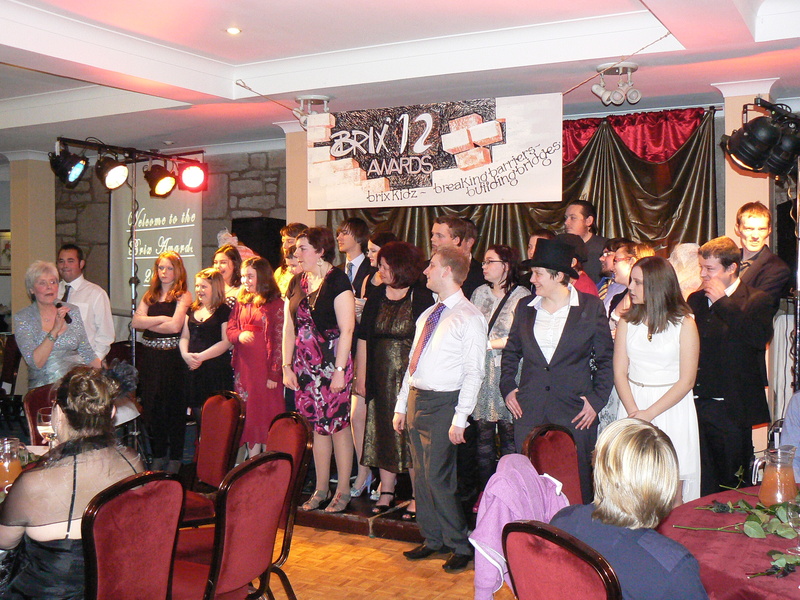 Brixham YES has become a huge part of my life, in fact they are my second family. I would not be the person I am today if it wasn’t for YES and all those involved. I was fully supported to use my existing knowledge and skills, and to put into practice what I have been studying for the past seven years. Not only do I feel like myself again, but I now also look forward to the future! Well it has come to that time of the year when the Neighbourhood Challenge is almost over 😦 – and I can say for a lot of the people involved who I have talked to that it has been such an amazing experience, and we have all developed so much. This has involved : building our confidence, meeting new people, improving and developing our skills and overall helping to benefit our community in so many different ways! 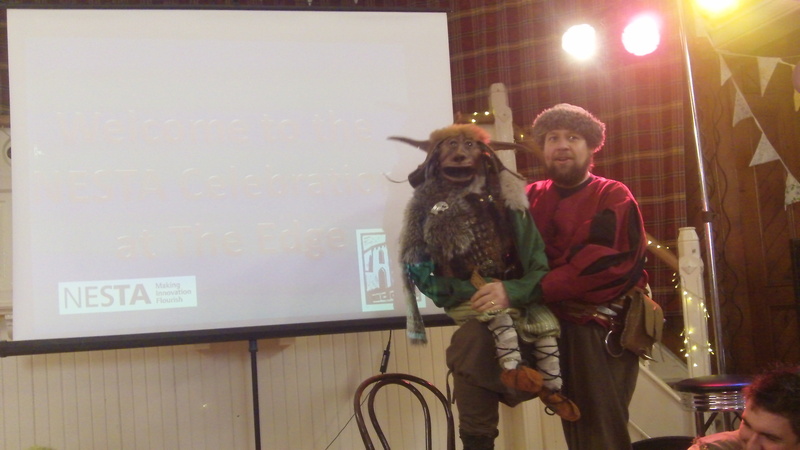 On Sunday 26th February, we had our ‘Final Presentations’ held at The Edge. Now it is a very good thing that we (YES) have a rather large premises as there were all the Neighbourhood Challenge projects here…..in the cafe, in the main area and even upstairs! The Edge was open from 9am (approx) as Andrew and Katrina were cooking food for everyone (which included some yummy brownies), and all the projects began to arrive at about 9.45am. We all started to set up our ‘stalls’ which I honestly though would only take half an hour……I was soon proved wrong as at 11.40am I was still putting it all together (some might say I was a bit of a perfectionist). Nonetheless, all the projects were getting everything complete, the judges were arriving and we (well definitely me) were starting to feel very nervous! Finally, everything was ready and Andrew addressed all of the projects in the main area, and told us what to expect during the day! At this point the judges were going to be walking around and talking to us all about our projects! This was quite scary in my opinion as I am not the best at talking about my achievements which is probably why a lot of people were shocked that sport has been my whole life since I was three! Also, the ‘Sofa of Enquiry’ had started at this point too. This was a chance for the projects who did not wish to do a presentation (in front of everyone) talk to the judges. 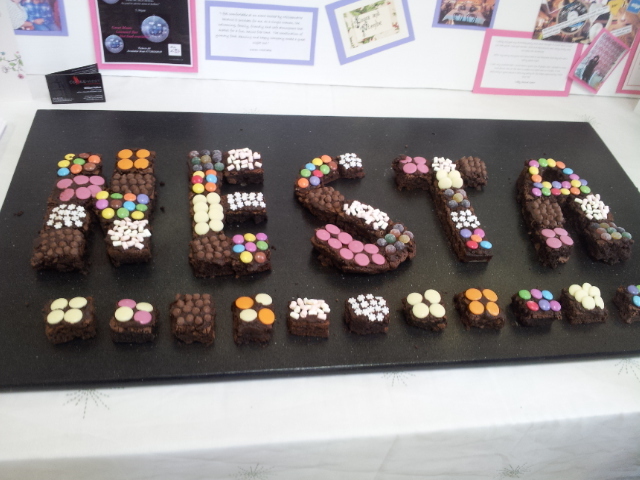 The day was going really well, a lot of people had talked to the judges on the sofa as well as by our stalls. Although there was a group of us who were preparing for our presentation in front of everyone…..I will admit that I tried to get out of this in the morning!! But my preparation was still going ahead! We all had a short break for lunch whilst Ross set up the screen and projector for the presentation and getting everything in place to ensure everyone had a seat to listen to the rest of the projects. It was now the time for these presentations……..all the judges were seated and the majority of the projects were in the main area too. I will admit that at this point I was sat at the back out of the way hoping I would not be seen to do my presentation, although I was second up, and Angela and Mara were stood next to me, so I couldn’t really get out of it! Throughout the next hour and a half….myself and other projects including : Indgigo’s Cooking Club, Forgotten Crafts, Yes I Can Do That, Photo Links, Brixham Edge Sport Tasters, Perform, BrixFest, Brixham Battery, Brixham Museum, Brixham Community Allotment (these are all that I can remember…sorry if I have not mentioned you). Well now that all the presentations had been completed and all those talking on the ‘sofa of enquiry’ have finished, it was time to wrap the day up! We had all spent a very long time putting our stall together so you can imagine the time it took to pack everything away! The judges were still walking around chatting to some of the projects and everyone looked so much more relaxed! All we had now was the waiting game to find out which 6 projects would win £3500 each! 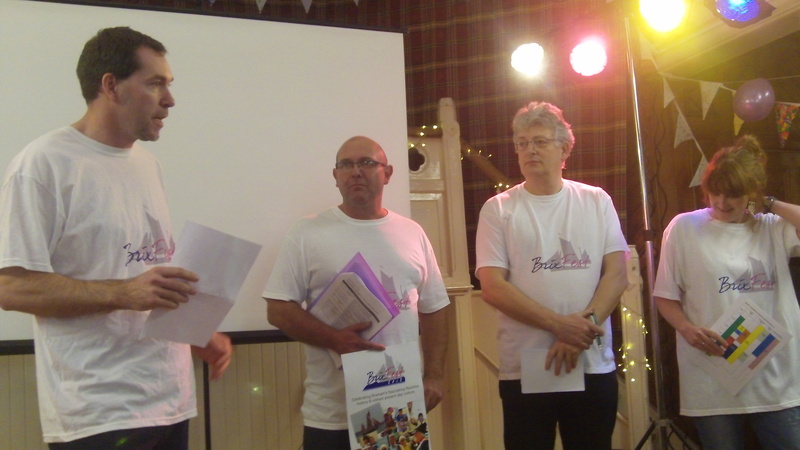 We have completed our social prize challenge in Brixham and our independent judging panel of local people have chosen the 6 prize winning projects; each to win £3,500 to continue their projects within our community. We’ve done it! Last spring, we put out a call for ideas, ran a series of outreach events, networking workshops, learning conversations, group talks, radio interviews and promotion through various local publications, to raise awareness of the challenge. 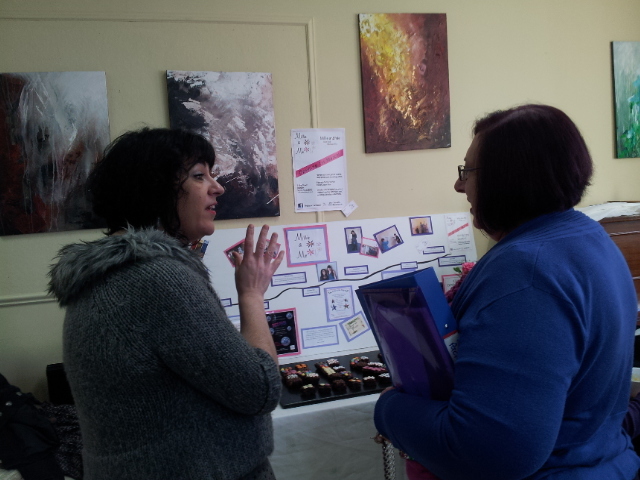 We devised the challenge criteria and an application process; offering support to people to come together and apply. In July, our independent panel of eight judges, a mix of local people – two local business people, a minister, retired judge, taxi company owner, charity chair, business consultant, photographer – chose 36 of over 50 projects who applied to take part in our 6 month challenge, competing to develop new projects to ‘improve life in Brixham’. From the outset, all projects confirmed which challenge criteria they proposed to meet and how they intended to do so; our focus was upon developing young entrepreneurs, intergenerational micro-enterprises and community action groups. 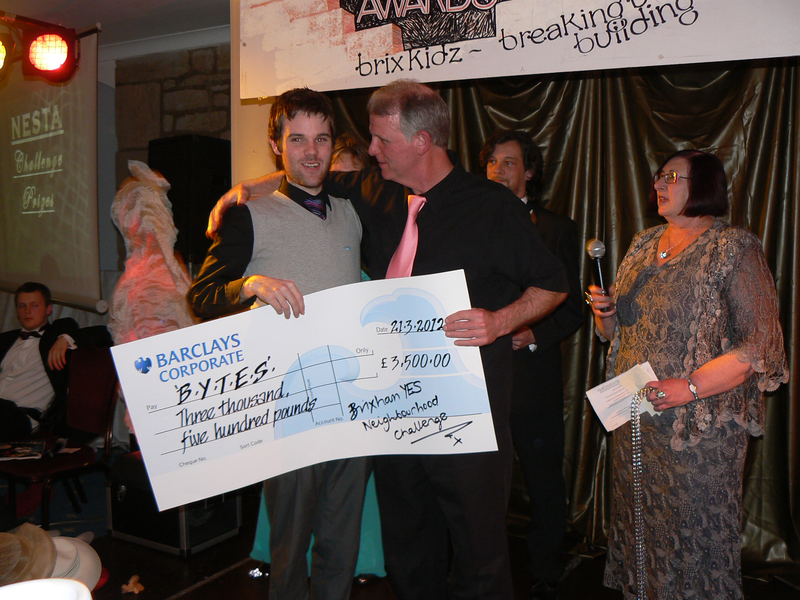 We had £24,000 to share between the projects as ‘kick start cash’. At the beginning of the challenge we met with each of the projects to run through a simple agreement, decide upon their training needs, set achievable milestones, gather information for a baseline; gauging their personal well being, their confidence in themselves and their project idea, and to set a series of scores over a range of indicators which would then become our baseline measurement and part of our eventual distance travelled toolkit for each project. In line with support requests gathered at those initial, target setting meetings, we then devised a training programme of personal and professional development sessions, team building events, inspirational speakers, one to one mentoring and community gatherings. All volunteers from every project were invited to sign up to as much, or as little, as they wished. 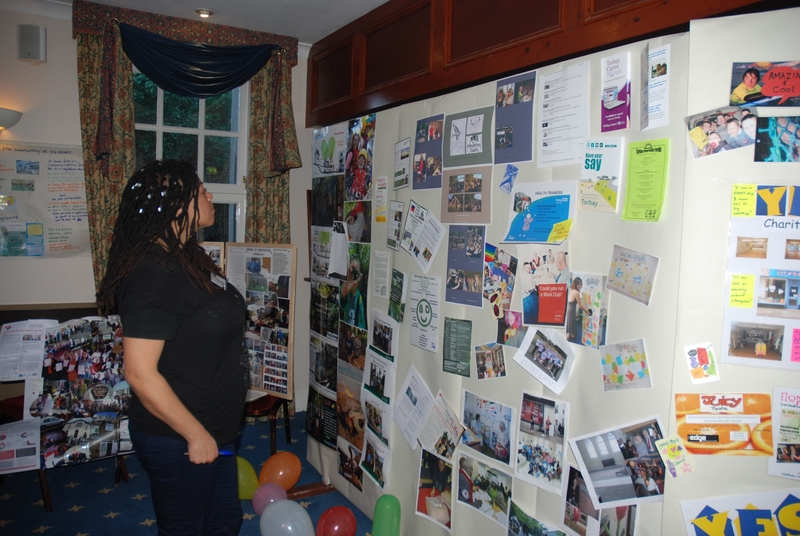 Each project had a key community organiser working alongside them, to support where necessary; signposting to other local activities, linking people and volunteers, arranging visits to other groups and project-specific training or networking opportunities. 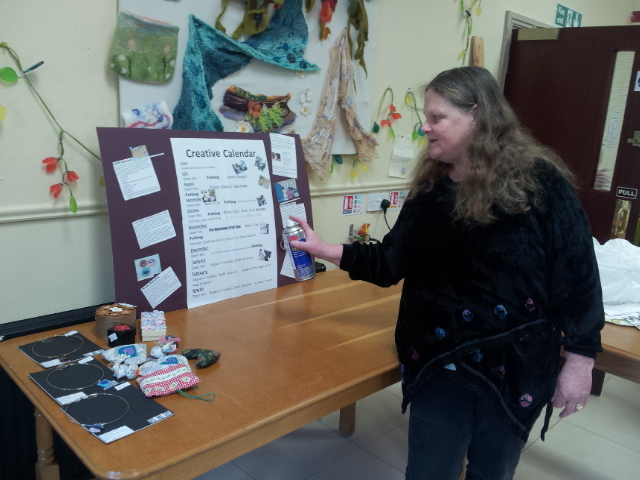 Many projects chose to run their projects from The Edge, our centre for multigenerational activities and sharing. Throughout the challenge our community organisers made contact with all the projects on, at least, a monthly basis to check progress and project direction and offer support, advice, signposting and eat cake. In November, all projects had a mid-challenge review, at which point we gathered well being and distance travelled data from the project leaders and key volunteers. We asked a range of simple, open questions around impact, reach and achievement; from this information we scored each project, determining ‘added value’ from the initial scoring taken when the project began back in July. The same process was followed in February at the end of the challenge period. At this point, however, we asked broader questions including potential wider reach of the project should they win one of the prizes, alongside what the project would do if they weren’t one of the cash prize winners. We then gathered all the data, scores, feedback, comments for all the projects and collated this into a document for the judges to help them make their decision as to the prize winners. By the end of the challenge, 26 projects remained as strong competitors, all meeting the basic challenge requirements and chose to take part in our ‘final show & tell’ to the judging panel. This took the form of an afternoon at The Edge when each project set up their own ‘market stall’ to promote their project; photos, DVDs, artistic time lines, things they’d made, stories of people who had benefited, food to share, activities to try. It was just an inspiration; so much energy, so much sharing, so much connecting. In addition to the market stall, some projects chose to do a 5 minute presentation to the judging panel and everyone else at the event; others chose, instead, to sit on the ‘sofa of enquiry’ and have a more informal chat with one of the judges during the afternoon. The following evening, the judging panel met with the community organisers to make their decisions. The community organisers were there to support the decision making process and help with any questions around the challenge criteria, scoring information or general project information. 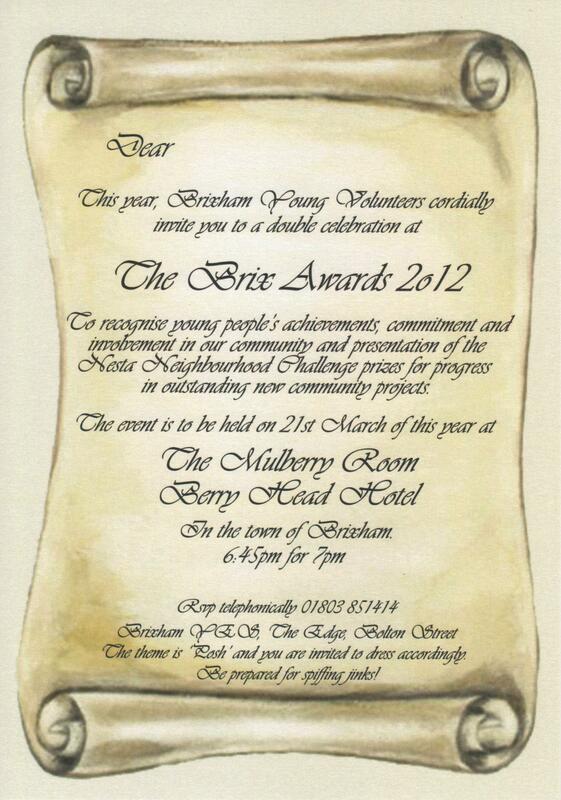 Our next event is the Brix Awards (an annual spoof on the Brit Awards) on Wednesday 21st March when the prize winners will be awarded their prizes and special awards given out, alongside recognition for community contributions by young people from a number of local groups; organised by Brixham Young Volunteers, the Brix is also a time to acknowledge adults in our community who give their time, love, energy and commitment to our young people – these people are given gold bricks. It would’ve been better to have found a way of having more time to enjoy and celebrate the amount of effort put into the ‘show & tell’ event on Sunday afternoon. It was one of those days you want to capture in time and savour again and again. So many people gave so much that day and there was too little time to really celebrate what had been achieved. Mind you, with 26 projects, you’d need a whole weekend to do it justice. Because the day was the culmination of the process and, primarily, an opportunity for the judges to speak with people, it felt a bit rushed which is a pity. Recognition and Celebration are critical. We need to find another way of promoting all of this work. It really matters. The prize winners will have their celebration at The Brix which will be great, but for those who haven’t won a prize, I think they might be feeling quite deflated at the moment. We have our Reflection and Celebration workshop with ICARUS on the 31st March. The past few months have been an absolute roller-coaster. Our charity is a small, local charity with a big reputation. Just prior to our successful bid to the Neighbourhood Challenge we chose to expand and move to larger premises; an old, vacant, disused – and very damp- church. Our growth, reach, expansion and project developments over the past year have been staggering. So much is happening, so quickly, that it’s been a challenge to capture it as we go – like trying to hold a shaft of sunlight. One of my greatest pieces of learning over the past few months is just how pressurised this work can be; a few key people juggling way too much and giving hours and hours of their time, voluntarily. The seemingly simple task of writing a blog – which could be enjoyable, fun and satisfying – has become, for me, my nemesis. Sounds dramatic, I know, but, with so much to do, blogging has always been shunted to the bottom of my list. In truth, the Neighbourhood Challenge has been the least of our challenges in recent months! What it has done is given us the opportunity, and focus, to model an approach which is clearly evidencing the impact of trusting people – of all ages, from all walks of life – to develop their project ideas. This has come at such an opportune time for Torbay. Just as we began our challenge, last July, we were advised that the local authority would no longer be able to financially support our charity; our programme manager who was on secondment from the council (and had been for many years as part of a Service Level Agreement) would be made redundant and we would no longer be receiving any funding from the council for our provision, within months. Our focus since then has been on developing our strategy for securing investment, contracts and trading to ensure the sustainability of our much-needed services to the community in the future. We have had to raise our profile locally and have spent considerable time networking with the local authority and elected members to ensure the value and importance of our work is recognised and becomes key to developments over the next year; with massive cuts and reorganisation of the youth service, we are working very strategically to ensure the voice – and value – of the voluntary sector and the future of our young people, is recognised . Last November, the TORCOM (Torbay Community) Children and Young People’s Consortium, met to discuss the ‘Developing Social Impact’ work package; a plan which is to be written to demonstrate the impact on social capital of the voluntary and community organisations in Torbay. This is part of the CPIP (Children’s Partnership Improvement Plan), under the ‘Involving the Community and using Knowledge and Skills’ project which the local authority are devising as part of their safeguarding plans. 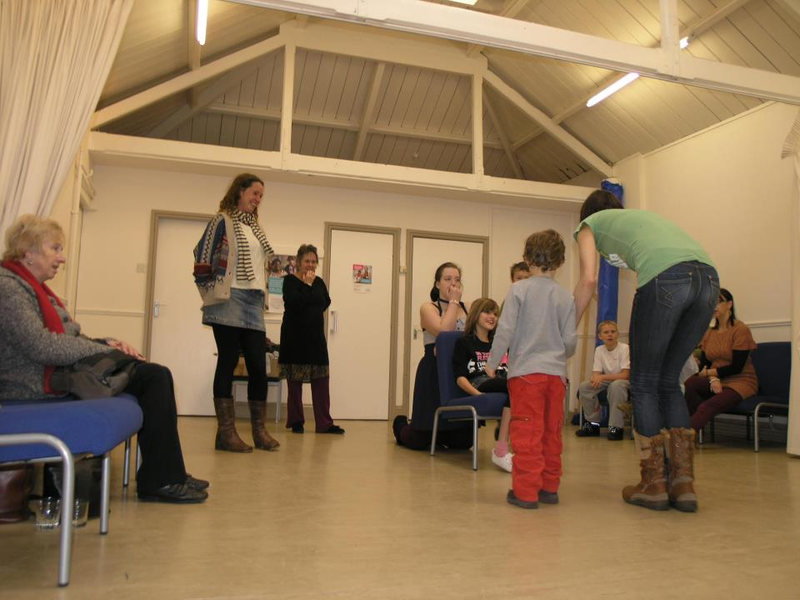 As a result of this initial meeting, Brixham YES and Play Torbay organised an ABCD 2 day event, Dare to Dream (title taken from the Manchester Community Foundation event) hosted by Cormac Russel of Nurture Develoment; funded by NESTA and The BIG Lottery. This was held at the end of January. The purpose and timing of this event was to influence local authority thinking around how to involve communities and how best to spend the ever diminishing financial resources available to us all, keeping a focus on reaching communities and working more smartly one with another. 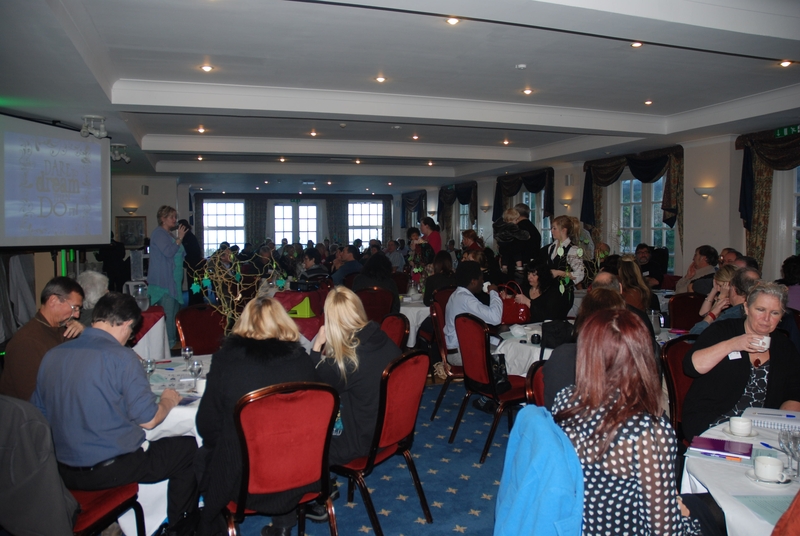 Dare to Dream attracted 150 people from across Torbay including the deputy CEO, Director of Children’s Services, deputy mayor, other elected members, commissioners, charity trustees and CEOs and a great band of community volunteers of all ages. Our first gathering of Conference Connectors was held in February and over 30 people are now actively involved in promoting ABCD as the way forward, developing strength based approaches as the cornerstone of all community initiatives; and, as a direct result of Dare to Dream, the CVA and Community Partnerships are considering their structures and looking to develop a more workable model, equitably with the local authority, to ensure that grass roots community impacts are recognised and valued at a strategic level,– without layers of prohibitive beaurocracy diluting the messages and diminishing the impact. The tide is turning. This is a revolution because it’s accessible, tangible and replicable. The Creative Café is very excited to announce the latest string to its bow! It has recently put two people, Ali Richards and Millie Chip through an Arts Awards Assessors course. 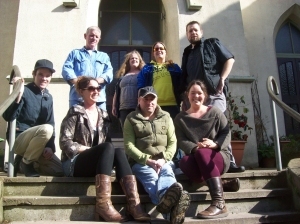 The Creative Café is applying to register as an Arts Awards centre. As from mid March we hope to run Bronze and Silver Arts Awards sessions for anyone between the ages of 11 to 25. Shortly after that, sessions for Gold will be launched. (A gold Arts Award is worth UCAS points). There are two other levels for younger people which might be brought in later. For every intake, we can apply for around £1500 funding, to cover the cost of materials and activities, so cost will be kept low for participants. While working for Arts Awards, young people will have the opportunity to visit museums, galleries, theatres or whatever is relevant to their chosen field, thus expanding their horizons. Some places have already been subscribed to by home educated youngsters. With extra money, we would be able to offer classes or workshops, subsidised for those doing the Art Award, bringing in successful local artists. Imagine sculpting with Elizabeth Hadley! This is the blog of the Brixham Youth Enquiry Service, one of the Neighbourhood Challenge projects.